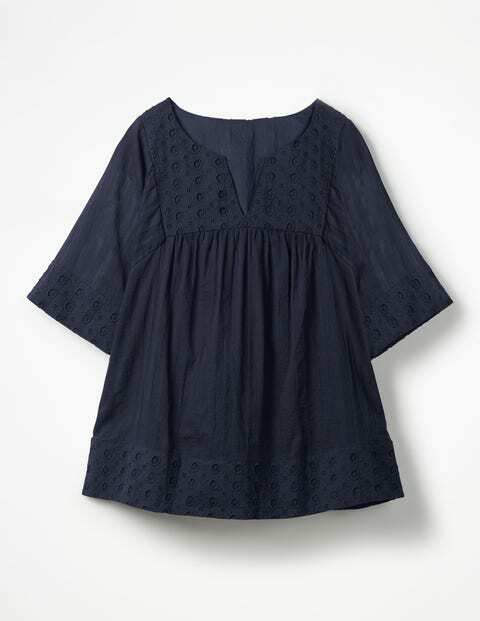 With its relaxed style and lightweight cotton fabric, this easy-to-wear top will have you in a state of zen in seconds. Delicate broderie detailing will lift your spirits even when the weather chooses not to play ball. On warmer days, team with denim cut-offs and follow the signs to the nearest beach.